What is the Lenovo Tab 4 10 Plus? The Android tablet landscape is a bit of wasteland right now. You have Amazon dominating the low-end with its admittedly impressive Fire tablets, and then not much else. Samsung is trying to create a viable iPad Pro alternative with the Galaxy Tab S3, but this hasn’t exactly gone to plan. Enter the Lenovo Tab 4 10, whose aim isn’t to battle Samsung for the prize of most-specced out Android tablet. Instead, this device is looking to offer a decent selection of features for a modest price. 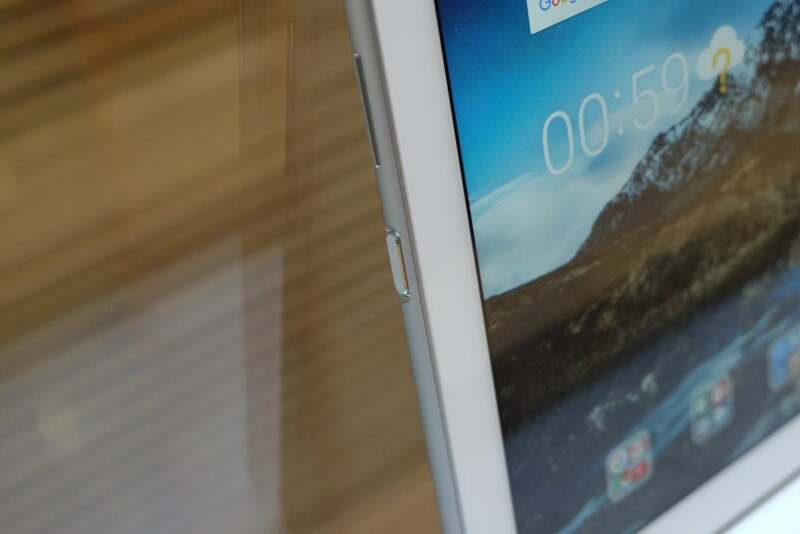 Most tablets instantly try to copy the iconic iPad design, opting for a curved body with a flat, aluminium back. Lenovo strays from this approach, and for that I have to give the company credit. 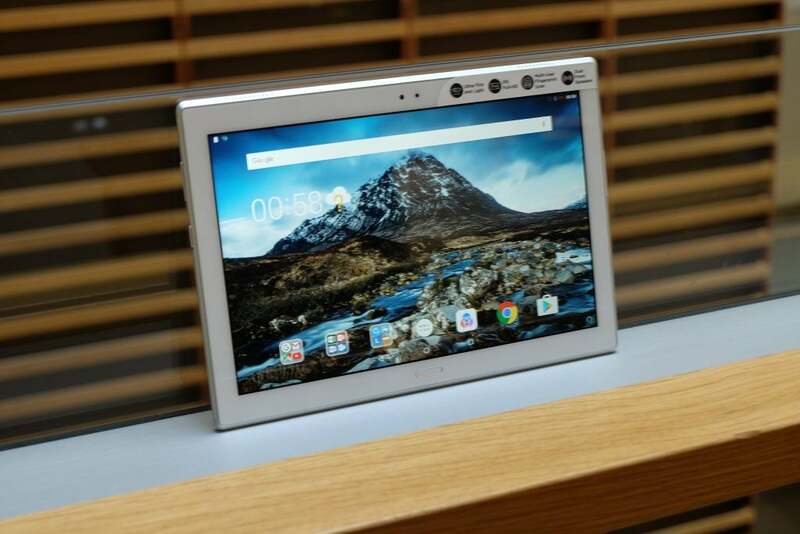 The Tab 4 10 Plus is a 10-inch tablet, with a widescreen 16:10 display and a build that’s mainly constructed from glass. The flat glass rear means that it will easily sit on a table, although the lack of curves do make it slightly uncomfortable to hold for long periods of time. The sides of the device are metal, adding a hit of class, but the top and bottom edges are plastic. It isn’t unusual to see a bit of plastic in a more budget-focussed product such as this, and it’s far from gaudy or ugly. My biggest issue with the whole look-and-feel of this tablet is the awkwardness of the 16:10 aspect ratio. It’s intended for landscape viewing, and while watching a film on Netflix presents an okay experience, it doesn’t work so well if you’re using this device as a replacement for a Kindle. Most tablets have switched to a better 3:2 aspect ratio – and, in my opinion, that’s a good mix for everything. 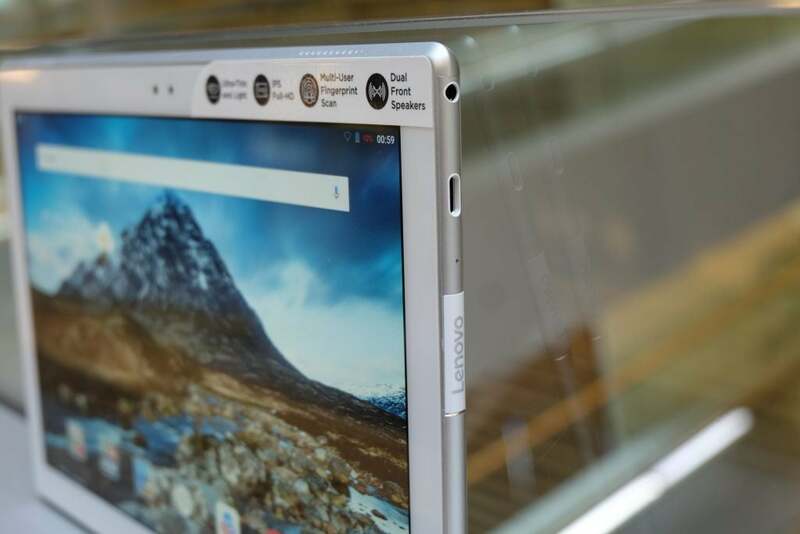 To push home the message that this tablet is firmly meant to be used in landscape mode, the fingerprint sensor and Lenovo branding sits directly below the screen. Having a fingerprint sensor on a tablet is by no means a given, so it’s nice to see it here. The scanner is fast most of time and is easy to add along with a passcode when you first boot up the device. However, I did find that it could be a little erratic – it would work fine for a while and then stop working entirely. In the latter instance, I’d have to re-register my digit for it to start working again. Sitting around the rim of the device is a flap that hides the microSD card slot along with a USB-C port for charging. This latter is welcome, especially since it is uncommon to still find the older micro-USB port on Android tablets. The most important part of any tablet is the display. Especially for a tablet such as this, which will primarily be used for Netflix viewing and the like. 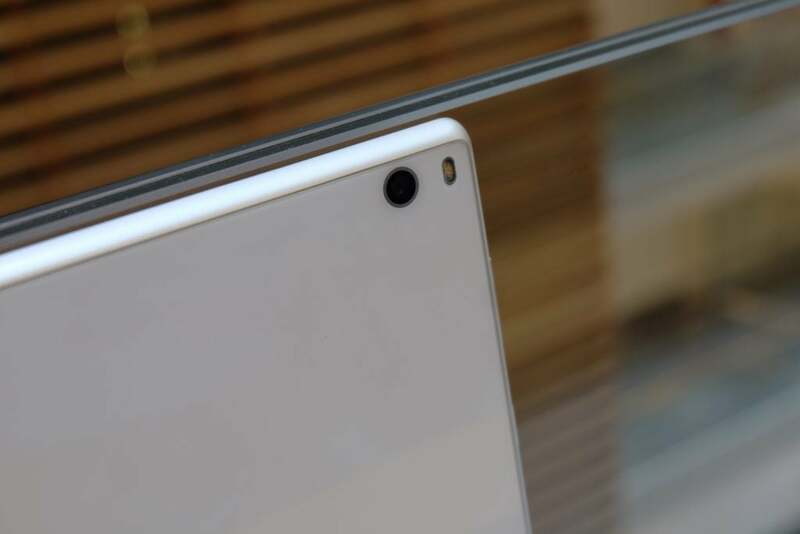 The Tab 4 10 Plus includes a 10.1-inch IPS LCD panel with a decent 1920 x 1200 resolution. Considering the resolution can’t match that of pricier tablets, I was initially sceptical. However, following a few weeks of use, I’m pleasantly surprised. It’s sharp, colourful and viewing angles are wide enough for multiple people to watch something at the same time. Outdoor visibility, too, is pretty good – although trying to read a Kindle book on this tablet out in the sunshine proved a tough experience as a result of its dimensions. Viewed super-close you’ll be able to spot the individual pixels that make up the panel, but from a distance the image looks very detailed. Colours aren’t washed out and there’s great contrast. There’s no support for fancy new standards such as HDR, however – you’ll need to pay top whack for that. The biggest boon in terms of performance for the Lenovo Tab 4 10 Plus is the use of a mid-range chipset from Qualcomm – the Snapdragon 625 – as opposed to a MediaTek model. The latter are used in the some of the Fire tablets from Amazon and often lead to super-slow UIs and plenty of lag. There’s also 3GB of RAM and, on my review unit, 64GB of expandable storage. The Lenovo Tab 4 10 Plus is by no means a speed demon, but there’s oomph in that octa-core processor and enough of it to comfortably get through most everyday tasks. It was snappy at jumping between apps, and there was rarely any lag. Even games such as Asphalt 8 and Real Racing 3 played without any dropped frames or serious performance issues. Loading times were noticeably slower than on an iPad or mid-to-high-end phone, although you’ll only really notice this with the two side-by-side. Audio comes from two speakers that sit on either edge of the device and there’s allegedly some Dolby trickery going on inside the software to boost the sound further. When watching a movie, however, the sound was nothing more than okay. Pump up the volume and it becomes distorted and tinny. A 3.5mm headphone jack is included, though, so you can plug in your own headphones and listen that way. I’m far from the biggest fan of tablet photography. I’d probably go as far as to say that I’d rather that Lenovo had ditched the camera and used the resources elsewhere. Maybe giving users bigger base storage options, for example. Nevertheless, if you’re happy to look a fool wielding such a sizeable device to take your pics then the rear-facing 8-megapixel takes serviceable snaps in bright sunlight, but that’s about it. There’s a 5-megapixel camera around the front, too, which is fine for video chats and the like. 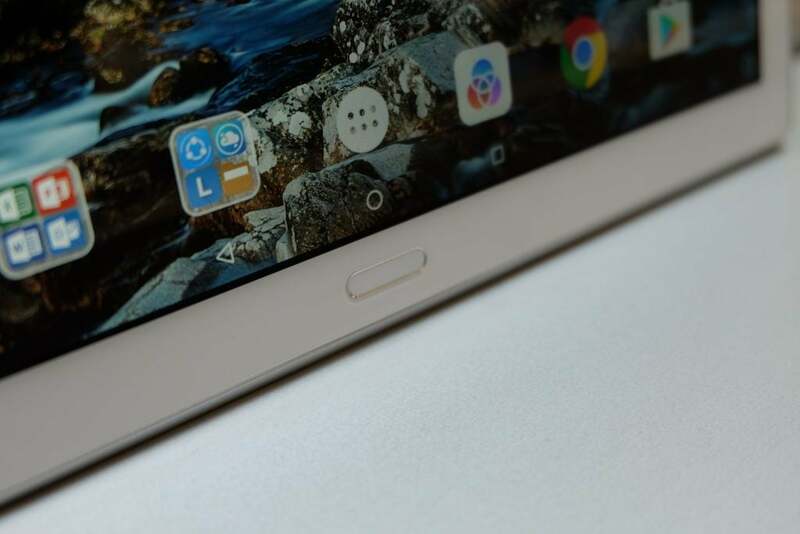 The Lenovo Tab 4 10 Plus runs Android 7.1, which is a shame since Android Oreo has been out for nearing nine months now and Android P will likely see a release in a few months. This isn’t Android as you know it, however. Lenovo has tinkered heavily with the interface and added its own stuff to it. Normally I’d be against messing too much with Android, but because Google’s OS is primarily built for phones rather than tablets, it’s good to see some of the extras here. There’s a nifty mode that adds shortcuts to the bottom bar for easy multitasking, and the ability to run two apps at once on the screen is also very handy for a tablet. I’d stop short of saying this is a true productivity device, though; it certainly isn’t a laptop replacement. It’s much more suited to media consumption. Microsoft’s Office suite comes loaded, along with a bunch of other apps that are less useful. While the Lenovo Tab 4 10 Plus’ display is probably better than most, it doesn’t offer the battery life to match. An hour of Netflix streaming consumed 14% of the battery, while a downloaded video of the same length played back through VLC took it down 10%. Neither of these are poor figures, although you’ll likely get back better stamina from the similarly sized Amazon Fire 10. As already mentioned, I appreciate Lenovo switching from micro-USB to the more modern USB-C here. It could easily have saved itself a bit of money by using the older connector. Most new Android phones, laptops and even speakers and headphones are beginning to adopt USB-C, and it’s great to be able to use a single charger for all your tech. Why buy the Lenovo Tab 4 10 Plus? You can currently bag the Lenovo Tab 4 10 Plus on Amazon for £234, which seems like a perfectly fair price to pay for a tablet such as this. The post Lenovo Tab 4 10 Plus appeared first on Trusted Reviews.